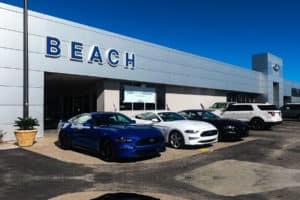 Beach Automotive Group is honored to share this fantastic news involving some really special kids. Here’s some really great news from Michigan! Ford awarded more than $20,000 in prizes and scholarships at the end of May. 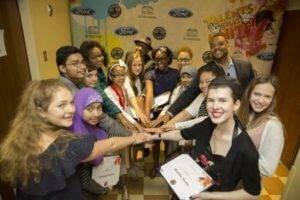 This took place at the annual Ford Freedom Award Scholar’s Experience. The ceremony celebrates kids and teens who develop methods that encourage diversity. The function was held to coincide with the 19th annual Ford Freedom Award ceremony. Present were over 1,700 students from across Michigan. These students all submitted essays telling how they could use their interests and talents to bring people together. Hosting this event with Ford was the Charles H. Wright Museum of African American History. Detroit Newspapers in Education was also a host.. It was for students in fourth grade through eighth grade. We have to agree this contest was a big success! The first place scholarship winner was Mohammed Muntakim. He’s an eighth grader at Davison Elementary-Middle School in Detroit. Mohammed won $5,000 for his essay. His work focused on his enthusiasm for increasing respect and understanding through Academic Games. Rod Bead, who is the assistant executive director of the Michigan League of Academic Games also shares this passion. With his great attitude, Mohammed will go far in life. This award will certainly help! Jillian Lesson, 8th grade, West Hills Middle School; Nafisa Chudhury, 6th grade, Dickinson East Elementary School; and Jackson Huff, 8th grade, Trinity Lutheran School each received honorable mention ($500 each). This is some pretty terrific news! Of course we send our congratulations to all the scholarship winners. We’re proud of you! Ford wants to make sure that our future generations understand the importance of community. It’s people from all walks of life coming together. Not only does Ford develop some great cars, it also helps to develop great people.